Let’s talk about goal setting. Psychology professor Dr. Gail Matthews, Professor of Psychology of the Dominican University of California, recently conducted a study related to goal setting. Group 1 was asked to simply think about the business-related goals they hoped to accomplish within a four-week block and to rate each goal according to difficulty, importance, the extent to which they had the skills and resources to accomplish the goal, their commitment and motivation, and whether they had pursued the goal before (and, if so, their prior success). Groups 2-5 were asked to write their goals down and then rate them on the same dimensions as given to Group 1. Goals were a wide-ranging as completing a project, increasing income, increasing productivity, improving organization, enhancing performance/achievement, enhancing life balance, reducing work anxiety, and learning a new skill. Specific goals ranged from writing a chapter of a book to listing and selling a house. Of the original 267 participants, 149 completed the study. At the end of the study, the individuals in Group 1 only accomplished 43 percent of their stated goals. Those in Group 4 accomplished 64 percent of their stated goals, while those in Group 5 were the most successful, with an average 76 percent of their goals accomplished. “Inspect what you expect” and measure your goal until you have achieved it. 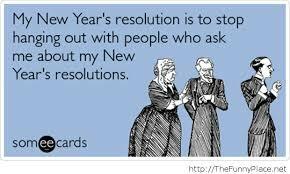 So, what’s your New Year’s resolution? Write me and I will post it on my website, so you are effectively telling the world what you hope to achieve in 2014!